Elk steaks, roasts and burgers are gaining in popularity. Restaurants are starting to feature elk meat as main courses due to consumers’ requesting meats low in fats, and high in protein. This meat is sometimes a little hard to find if you are not a hunter. But you can buy Canadian Elk meat online from us here at Northfork. Elk meat is a naturally lean alternative to mainstream meats. It’s savoury taste will excite your tastebuds and keep everyone coming back for more. Our animals are raised without the use of growth hormones or growth stimulants. They either graze naturally or consume healthy, plant-based supplements; and they are never fed animal by-products. 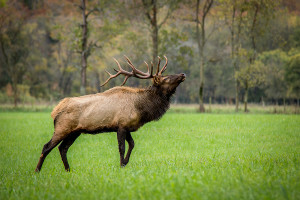 Elk are very hardy large animals that are naturally resistant to disease. If you’ve never tasted elk meat, you are in for a treat. It is not only low in fat and cholesterol, but high protein, important vitamins and minerals. It is becoming a favourite among health conscious individuals because it is so low in fat, high in B vitamins, iron, phosphorus selenium and zinc. 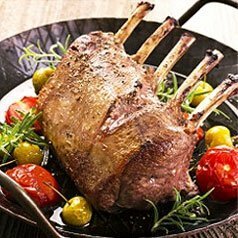 Elk meat is very healthy and our Elk roast makes a great meal. Our animals are all natural, no added hormones, antibiotics or chemicals of any kind. An elk roast makes an elegant meal and can easily feed a large group of people. It’s a great way to make a special occasion even more so, and a great way to prepare an elegant dinner without much work. Remember because elk is lean it cooks relatively quickly. So we would suggest to make your life simpler by using a meat thermometer. If you don’t have a thermometer, buy one, it will make your cooking life easier and save your meat. Check out our blog post on meat thermometers. At 145° degrees Fahrenheit your elk roast is ready to come out of the oven. tender, mouth-watering, flavourful. Serve with vegetables, potatoes, and a green salad. Elk steak is surprisingly lean, tender and flavourful, which means that it requires minimal fuss and seasonings to prepare it. 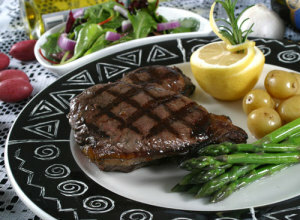 Lower in fat and cholesterol than beef and even chicken, elk sirloin should be cooked to a state of rare or medium-rare. Restaurants have begun to offer elk steak as a main course because people are searching for flavour without the fat. Elk steaks provide great taste, low fat and cholesterol and high protein. And it’s got a bit of a zing to it, a more robust flavour although the texture is similar to beef. Healthy eaters may also appreciate that elk meat provides 100% daily recommended dose of vitamin b-12 , with a large amount of your daily recommended dose of thiamine, phosphorus, zinc and b-6 as well as15% of daily dose of iron. All our elk steak cuts are delicious, juicy and tender. They are great on the grill or on the stove. Be sure to watch them as they cook because they are ready fast. Brush them lightly in a bit of olive oil with salt and pepper and you’re done! For more elk recipes, check our blog or our recipes section. We have a large variety and the highest quality of grass fed elk meat cuts. Try all of them! and of course all our meats have no carbohydrates and are gluten free. 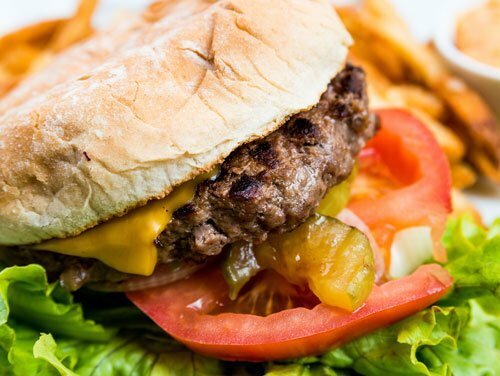 Juicy elk burgers come in various sizes from the 4 ounce patties to 8 once patties. Elk burgers are healthy and protein rich. They are all natural and contain no added hormones and steroid free. The whopping 8 ounce patty is a burger that will satisfy the hungriest hungry man. Elk burgers are gluten free with no carbohydrates. Just pure Elk protein. Elk burgers are a great way to introduce yourself to the delicious nutritious qualities of elk meat. Elk burgers are healthy and protein rich. They are all natural and contain no added hormones or antibiotics. Try some of the burger recipes on our blog. Just substitute elk for bison or wild boar. Elk meat is distinctively different in that it has a richer sweeter flavour, but interchangeable with other red meat in your own favourite recipes. Elk meat has very little or no internal fat. Elk is High in protein, iron and vitamin B. All our burgers are contain no carbohydrates and are gluten free. Cooking time for elk burgers vary considering the size. Use the chart for bison since bison and elk are both lean cuts of meat requiring lower cooking temperatures. It is important not to overcook elk burgers. Due to their low fat content, they tend to cook quickly. Never cook more than to medium doneness. Elk burgers come in cost saving bulk formats too. Now it’s easier than ever to try the great taste of elk meat. You can order online at Northforkbison. We deliver it to your door frozen with ice packs. We will call you before we ship to make sure you are home. Or you can specify another location to have your elk meat shipped. Due to the perishable quality of the meat, it will never be left on your doorstep. Your order will be handpicked from stock at our processing plant and cut to order. It will be carefully packed in an insulated box with ice packs designed to maintain your items in good condition for up to 48 hours. We use a sturdy shipping cooler and plenty of ice to assure your meat arrives in good order. If you would like, you can have your order shipped to your work. We actually recommend this. Most places of business are on a regular delivery schedule with our shippers. The shipment will have enough ice to keep frozen until you get home that evening. To conserve the ice, it is best not to open the shipment until you are ready to place the order in the freezer. enjoy all natural elk. AND IT’S BIG ON TASTE. It has a fantastic flavour, not too strong and gamey like moose. It’s texture is similar to beef, but it has a more robust and savoury taste. It is an easy meal to prepare, just remember that is lean meat so it will cook faster. Cook at a shorter cooking time and at a lower temperature. Use your favourite red meat recipes but remember to keep from cooking it too much. A medium rare cut of cooked meat tastes tender and flavourful. Cook it too much and it can get a little too crispy. While you can marinate or season the elk meat, it doesn’t take much more than some salt and pepper to highlight the naturally amazing flavour. Because of its low fat content, brush it a bit with olive oil before placing on the grill.